How are you using the data from kidsdata.org? Data can be a powerful tool to improve the health and well being of children, families, and communities. Data can be used to assess needs, set priorities, develop action plans, inform programs and policies, track progress, support grant proposals, strengthen advocacy efforts, raise awareness of key issues, and more. Please tell us how you used Kidsdata to become a part of the kidsdata.org story. 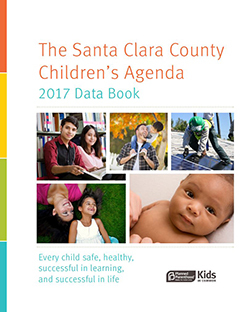 Kids in Common used Kidsdata in its 2017 Santa Clara County Children's Agenda and Data Book (PDF), citing data on demographics, food security, and homelessness. The Data Book provides a summary of how children are faring in Santa Clara County and offers recommendations for how to address disparities. "I am a guest speaker at California State University, Channel Islands for their public health nursing program on child abuse recognition. I use data from Kidsdata to present child abuse statistics to BSN (Bachelor of Science in Nursing) students to give them a better understanding of the incidence of child abuse in their specific area. It helps me illustrate local conditions compared to other regions while informing them that child abuse is a problem in their local area—not just a phenomenon that happens elsewhere." "We use Kidsdata in the last 10 weeks of our Parent Leadership Training Institute (PLTI) classes so that parents can analyze demographic trends around children and performance around education and health. Parents have used this data to start community gardens, parent support groups, and youth enrichment activities. Here in Stockton, one parent used the data to start a program for young African American kids because she said the data showed they are underserved and not performing as well as the other minorities. One grandma used the data to start a grandparent volunteer program at her school. We have three counties in the state doing PLTI work and all the parents use Kidsdata as their data source." 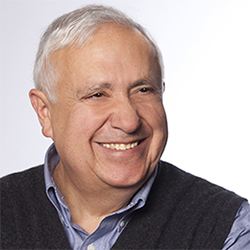 Michael Fischetti, MD, MPH, a member of the Santa Clara County Health Advisory Commission and a director of Hope's Corner Kitchen, uses Kidsdata to advocate for the homeless youth population in Mountain View. 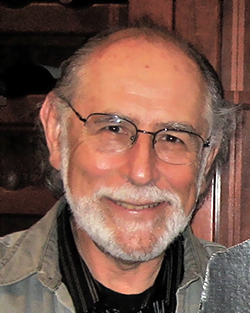 Dr. Fischetti cited Kidsdata in a guest editorial in the local paper and used it during a presentation to the Mountain View City Council, which motivated action resulting in a city-wide task force designed to tackle the issue of homelessness in the area. "The City Council is slow to appreciate and act on statements without data. In my opinion, Kidsdata's information on homeless kids in our city was responsible for the awareness and action—no data, no action!" “I have used Kidsdata since it was first developed. It's important to have a credible resource for data that describes the need for our services. The localized, topic-specific information gives donors confidence that we understand our field. We believe that data is a critical component to the stories we share with our community. Children Now used Kidsdata in its 2016 California Children's Report Card—a summary and analysis of the status of kids in California. The Report Card highlights areas where the state has fallen short in addressing the needs of California children and provides policy recommendations to help improve their health and well-being. 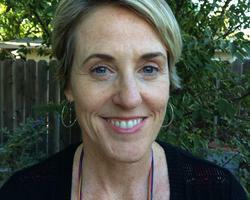 In her role as a Community Manager and Data Specialist with ACEs Connection Network, Gail Kennedy, MPH, discovered that kidsdata.org was the source for nearly all of the data used in communities—from schools to county health departments to local NGOs. When gathering data at the community level, kidsdata.org is her one-stop, easy to use repository of data. In addition, she has seen kidsdata.org used in presentations to school boards, county health commissions, county board of supervisors, and First 5 commissions. When members of the Essentials for Childhood Data Workgroup were discussing possible ways to display data on a state-wide level, the group held up kidsdata.org as a desirable and replicable model when they considered adding an additional child well-being variable. Since 2008, the Kern County Medically Vulnerable Care Coordination Project (MVCCP) has helped improve the lives of Kern County infants and children, 0-5 years of age, with special health care needs (CSHCN). MVCCP uses kidsdata.org to compile county level data related to CSHCN, premature births, insurance coverage, demographics, and poverty, which MVCCP uses to inform its partner organizations and to focus priorities. MVCCP also uses kidsdata reports to help plan its Annual Conference. 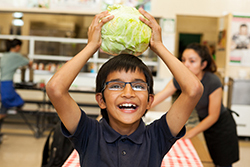 The California School-Based Health Alliance uses kidsdata.org to help plan programs with school-based health centers (SBHC), which help children stay healthy so they can learn. They use kidsdata to highlight areas of need in California, such as health and educational outcomes, where school-based health care can make a difference. Since 2012, the California Homeless Youth Project (HYP) has been partnering with kidsdata.org to visualize and promote California Department of Education data on homeless youth in California. In 2014, HYP leveraged the easily-downloadable visualizations on kidsdata.org to enhance their legislative issue brief, webinars, blog post, and data packets that were distributed to legislators across the state. This, combined with kidsdata.org’s communication efforts, resulted in increased media interest (more than 15 articles in reputable media outlets, including NPR), invited presentations, congressional hearings, and increased interest among state legislators in child homelessness, leading to at least four substantive bills on homeless children and youth this session. HYP’s collaborative effort continues to serve as a prime example of how kidsdata.org uses partnerships to bolster advocacy efforts and effect policy changes. 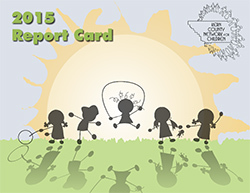 The Kern County Network for Children used kidsdata.org and other data sources in their 2015 Report Card on the status of children and families. The report raises awareness of key issues affecting children in the county and offers recommendations for readers. The United Way of the Bay Area uses kidsdata.org to bolster grant proposals and the agency's community library. India Swearingen, the agency's evaluation and insight director, frequently uses the narrative context that accompanies every indicator. “I like the text that explains why the data is important – too often, we put out metrics and don't explain their importance,” she says. While she also uses other data sites, they're not as user-friendly as kidsdata and often don't provide data at the county level as kidsdata does. Aided by a 2012 grant from the Lucile Packard Foundation for Children's Health, the California Pan-Ethnic Health Network used information from kidsdata.org to create fact sheets highlighting the health needs of California's diverse communities. More recently, the nonprofit organization has used kidsdata to highlight health disparities among California children in its advocacy regarding the new local control funding formula for public schools. First 5 Marin used a special feature offered by kidsdata.org to post statistics about young children in Marin County on their website at www.First5Marin.org. Now visitors to their website can get information from kidsdata.org about preschool rates, child care costs, immunizations, children living in poverty, special needs and much more. What is a clear statement of your issue? Concisely state the issue. Why does your issue matter? Answer the “so what” question for why the issue requires action. Elaborate on the problem central to your issue. Think about equity and how the issue affects your community. Use data to support your claims. Consider adding a descriptive narrative or anecdotes. What is your proposed solution? Describe and substantiate the approach that will most effectively address the issue. Who are the stakeholders? Stakeholders are your allies and opponents on the issue. Some examples include: policy makers, community activists, local program leaders, service providers, business owners, law enforcement staff, and health department staff. Consider why they are stakeholders, and what do they have to gain from supporting or opposing your issue. What are the Barriers and Facilitators? What are challenges to enacting change on your issue? What is the current political climate, and what are current priorities? Is your issue a major concern when compared to other current events, and what do you need to do to elevate concern? The data you need depend on your goal and whom you have to convince. In general, the level of complexity you use when presenting data depends on the people you are addressing. Big Picture: Politicians, the general public and the media are audiences who tend to need information that is descriptive and quickly understandable, often from an overall perspective or big picture point of view. An example is communicating about the extent of emotional health issues among youth by showing the percentage of youth who feel depressed by demographic groups. Details: Committee staff, special interest groups, and legislative analysts tend to want more detail than the big picture offers. This information will have more layers to it; often the audience understands the general idea but does not understand the details. An example is communicating about access to mental health care services by identifying the percentage of youth who receive mental health care among those who need treatment. Specifics: Government agencies and academic institutions often need data to be more focused or detailed. Funding or planning decisions may be based on these numbers. An example is communicating about the impact of mental health instability on hospitals by examining categories of hospitalization discharge rates by type and age group. How will the data support your message? Access—who has access to services, programs, insurance, etc.? Who doesn’t? Equity—is there an equitable distribution of resources across groups or regions? Rights—what are the rights of community members? What laws, regulations, or constitutional protections confer rights? On whom are the rights conferred? Quality—how is quality of life, environment, services, and programs impacted? Cost—what is the cost to taxpayers, community, business, individuals, and others? If data are not available for your message, what can you do? A major advantage of using proxy measures is its low cost. The data can be relatively easy and inexpensive to find or collect. However, there may be concerns with generalizability. You will need to judge whether the data are a suitable proxy and be transparent about your approach. Can you combine quantitative and qualitative data? Quantitative data are usually measured and expressed in the form of numbers, rates or percentages. These data answer questions of who, what, when and where. Qualitative data are usually measured and expressed in the form of words, concepts, themes, or categories. Qualitative data are often used to gain a more in-depth understanding of a particular incident or phenomenon - answering how or why something is occurring. You might use a descriptive narrative or an anecdote. Combining quantitative and qualitative data strengthens messages. When possible, collect both kinds of data and use them in your work because they serve two different functions when attempting to paint a complete picture of your issue. For example, you may collect quantitative data on percentage of youth who receive mental health care among those who need it and collect qualitative information through interviews, focus groups or surveys with open-ended questions about why some youth don’t receive the care they need. Download a PDF of this page to take with you. Data have the power to transform the way we see the world, from identifying health disparities to strengthening a case for policy change. When determining the best data to support your work, consider the five criteria below: correlation versus causation, credibility, reliability, generalizability and timeliness. Remember, no data are perfect. Use your best judgment and be transparent. Correlation refers to two findings that are associated. Causation refers to one finding causing another. Without statistical testing, do not assume how data are related. For example, number of sustantiated abuse and neglect cases and days with ozone levels above standards have both decreased since 1998. They have the same pattern but are not likely related and one does not likely cause the other. As with any two sets of indicators, you cannot make conclusions about a pattern without testing. Credibility refers to the source of the data or who provides the data. Can you trust the entity that produced the data? Who paid for, sponsored, or funded the study? Could the data be biased? Does the data provider have a stake in a specific finding? Research sponsored by business, religious or political organizations may have missions that influence how they conduct research and interpret findings. What is the data provider’s reputation for research? Government and academic institutions are considered credible because research is conducted for the public benefit. Reliability refers to the accuracy of the data. Can you trust the data? Has the research that produced the data been reproduced by other researchers? How were the data collected? Did the researchers adhere to ethical research methods? If the data come from a survey, is there response bias? For example, did researchers conduct their survey in different languages if they need information about immigrants? Generalizability refers to data on a specific population that can be used for other populations. Generalizability depends on the way in which the data provider collected the data. Understand “who, what, why, when and where” of the data and consider whether the data can apply more broadly. For example, if the data describe Hispanic children, could they also describe Latin American children? Be cautious about claiming generalizability and be clear about how populations differ. Timeliness refers to when the research was conducted relative to changes in the environment. When was the study done - one year ago, three years ago, or over 10 years ago? And, how fast are changes occurring - months or years? Some data may be relevant over a longer period of time than others. Often there will be a lag time, especially with big studies such as the American Community Survey (ACS). Most comprehensive surveys will be a few years old by the time findings are published. Even if the research seems old, it may be the best source if more recent data are not available. Admit the limitations of the data and supplement it with other closely related research. You have five options for visualizing and sharing data on kidsdata.org. Choose among tables, bars, trends, maps, or pies to express your message through data. Use it to monitor trends, identify disparities and make comparisons. You can use these figures in reports, presentations, proposals, advocacy work, program planning, and other efforts on behalf of children and youth in California. Note that some indicators do not have all figure types due to data limitations. Good choice for providing complicated numeric, percentage, or rate information. Useful for comparing data for various geographies, groups, or time periods. Good choice for comparing quantities and percentages for a single category or timeframe. Bars are easy to read and work well to compare differences across groups. Good choice to illustrate trends over time. Line movement is easy to interpret. Keep the figure simple by including fewer than four lines; avoid frequently overlapping lines. Good choice to illustrate differences across areas and to provide a broad visual of the issue. Demonstrates areas of need and disparity through color. Good choice to show each part as a proportion of a whole. Use for data that have few categories (typically two to five). The following free resources offer tips, guidance, and strategies for effectively using data as a tool for change. Here are some additional free websites that may be useful in your work. See the full list of sources used for the data available on kidsdata.org. With millions of statistics about the health and well being of children across California, kidsdata.org can be used for policy or program planning, community needs assessments, reports, presentations, grant proposals, advocacy, media stories, and other efforts on behalf of children and families. Look for the “Download & Other Tools” option right above the tables, graphs and maps, such as on this page. Embed your table, graph or map into your website. The chart will update automatically when data are added to kidsdata.org. Copy your graphs into Word or PowerPoint to include in a report or presentation. Download data into Excel and make your own charts and graphs. Generate a PDF overview for that particular topic. Share your data via Facebook, Twitter, or Email using the options below any table or graph on pages like this. Scroll below any topic or indicator to see additional data available and to get context for your data, including policy implications, summaries of why the topic is important, and links to websites and reports with more information. Build your own data profile for your county, city, or school district. In the Data by Region section of kidsdata.org, look for the “Create Custom Profile” link right below your selected location’s name. There, you can choose the specific measures of interest to you and create your own custom data profile. Click here to get printable, ready-made fact sheets for any topic, region, or demographic group on kidsdata.org. See the Help page for more tips on using kidsdata.org. Want to receive a training on how to use kidsdata.org? Let us know by sending an email to kidsdata@lpfch.org, and be sure to include your location.